By day, Lauren ‘L’ Vargas is a digital dragon wrangler assisting companies with their community and communication strategies. Vargas was previously named by The Economist Intelligence Unit as one of the top 25 social business leaders and has experience with digital transformation in regulated industry (including: federal government, health care / insurance, and financial services). Vargas enables organizations to engage with the communities they serve by fostering authentic relationships built on trust and dynamic dialogue. Vargas is a frequent speaker talking to community/social media, public relations/marketing communications, customer relation management, and cultural institution professionals about how to build communities, measure their efforts, set clear goals and learn how to use those metrics to make solid business decisions or test new ideas. She is passionate about teaching the next generation of communication professions and blogs about the fusion of digital and community strategy. Vargas is also an adjunct instructor at the Harvard Extension School. Vargas has a Bachelor of Science in Public Relations/Journalism from the University of Central Oklahoma, a Master of Science in Communications from Lacrosse University, a Master’s Degree in Museum Studies from Harvard University Extension School, and is currently a PhD student in Museum Studies at the University of Leicester (focus: digital data collection and use) with an estimated January 2019 graduation. In her spare time (does she have a time-turner? 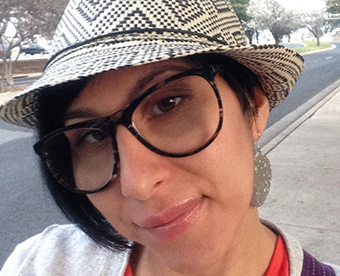 ), Vargas writes science fiction and is an active member, consultant and supporter of GrubStreet - a community and place of instruction for writers at all stages of their creative process and experience. This blog is Lauren’s alone, so that means that it doesn’t represent the thoughts, views, opinions or practices of her employer, friends, or family. Learn more about the Communicator’s Twelve Step Program (published via Lauren’s previous blog, Communicator’s Anonymous).